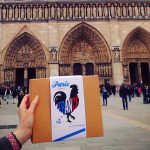 We all know the classics of the Paris Museums : the Musée du Louvre, the Musée d’Orsay, and the Musée du Quai Branly. 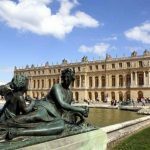 The three general museums for those who are in a hurry and want to do a quick and unavoidable visit of Paris. And what if you want to be more specific? Here are some suggestions to discover unusual Paris Museums. 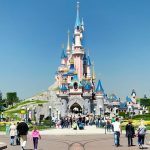 We obviously recommend the House of Victor Hugo (Maison de Victor Hugo), which the famous writer occupied at the Hôtel de Rohan-Guémenée, Place des Vosges, from 1832 to 1848. 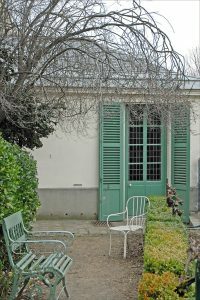 A place of life and a place of writing (« Les Misérables » was written here) which evokes his early youth, and offers a collection of objects redrawing his life, from the exile to the « after exile », exposing his drawings, family objects too, and manuscripts. Relive the life of the author of « The Huntchback of Notre Dame » by exploring his apartment from the antechamber to the Chinese salon at 6 place des Vosges 75004 Paris. 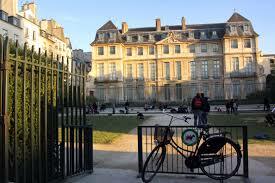 The House of Balzac (Maison de Balzac) is also a must-see for anyone in love with French writers. 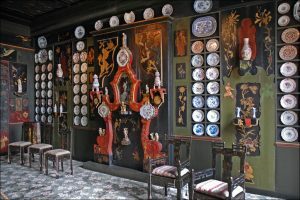 You can find the author’s famous “Cabinet de Travail” (Study), his personal effects and the table where he wrote many works such as “Une ténébreuse affaire”. A library is set up and is open to all, including original editions and bindings of the romantic era. Discover Balzac at 47 rue Raynouard 75016 Paris. Among the Paris museums, you can find everything. 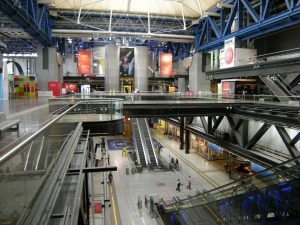 As proof, scientists will find fulfillment in the Cité des Sciences et de l’Industrie, located in the Parc de la Villette. You will be able to discover mathematical challenges, discover the mysteries of sound, light and brain, take a break in the space dedicated to the aquarium, and for astronomy lovers, you can visit the “Objectifs Terre” section dedicated to the revolution of satellites. Interesting temporary exhibitions are also held throughout the year. You can find it at 30 avenue Corentin Cariou 75019 Paris. 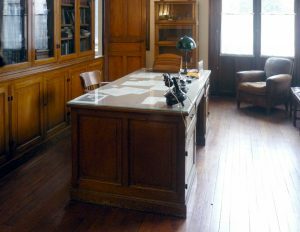 The Curie Museum (Musée Curie) offers to discover the life of the physicist and chemist Marie Curie and her family who hold five Nobel Prizes. First woman to have received one, she discovered with her husband two new elements: polonium and radium. This museum houses her laboratory which has been preserved without any change, the garden she has herself arranged in the Radium Institute, and even her office. All the secrets of this famous scientific family can be found at 1 rue Pierre et Marie Curie, 75005 Paris. 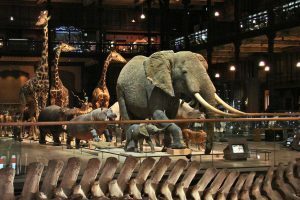 Come and discover the first steps of the humanity at the Museum of Natural History of Paris (Muséum d’Histoire Naturelle), in particular at the Grande Galerie de l’Evolution, in the rooms devoted to the evolution of life, mankind or even animal species, whether you are interested in the marine environment, the terrestrial environment, or both. A permanent exhibition describes how mankind has changed its environment, from Homo-Sapiens to nowadays, evoking the transformation of landscapes and pollution. Location : 36 Rue Geoffroy-Saint-Hilaire 75005 Paris. We would also recommend the Holocaust Memorial (Mémorial de la Shoah), which relates the history of the genocide of the Jews during the Second World War. 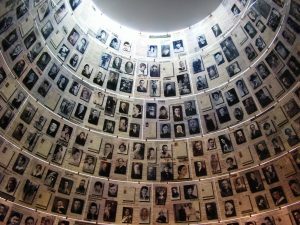 More than 5,000 square meters of exhibitions of pictures, original documents, and activities are available to permit the visitors to pay tribute to the memory of the deportees, but also of the « Justes », French people who helped to avoid several other deaths by hiding Jews in their houses. You can also find here a bookshop to increase your knowledge about this period, which offers more than 10,000 documents tackling the history of the Shoah. The museum is located at 17 rue Geoffroy l’Asnier, 75004 Paris. 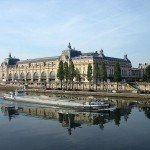 You may be interested in the Invalides, which hosts the museum of War, of World Wars, the memorial Charles de Gaulles, and the tomb of Napoleon : check information here. The Picasso Museum (Musée Picasso) is for you. It contains a large collection of paintings and sculptures of the artist, representing the movement of cubism of the XXth century. The museum has various pictures and archives of the same century, by Picasso himself and artists of the time like Brassaï or Man Ray. 5 rue de Thorigny 75003 Paris. 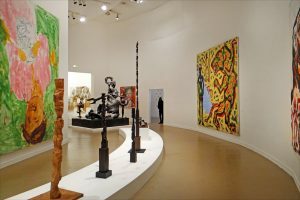 You will especially appreciate the Museum of Modern Art of the City of Paris (Musée d’Art Moderne de la Ville de Paris), between the Champs-Elysées and the Eiffel Tower, which counts nearly 9,000 works belonging to different movements of the XXth century and especially the second half, where you will discover chronogically and thematically movements such as New Realism or Conceptual Art. So, artists, find yourself there : 11 avenue du Président Wilson 75016 Paris. 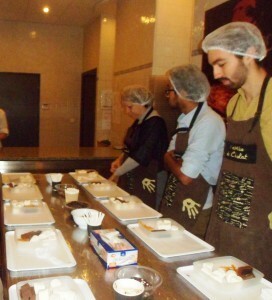 There is the Museum of Chocolate (Musée du Chocolat), where you can learn about the history of chocolate, meet chocolate makers, taste chocolates, or create your own! We are not telling you more. Go to 28 Boulevard de Bonne Nouvelle, 75010 Paris. 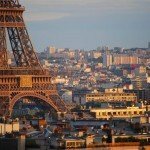 We hope you will enjoy the Paris museums as much as we do!